If you have been checking out my Instagram account. I have been posting about the new card that you might have already found out or not yet! It is a multifunctional card that has many uses because YOU ONLY NEED ONE card and it works for our daily activities such as paying for your meals, transport, shopping and many more! 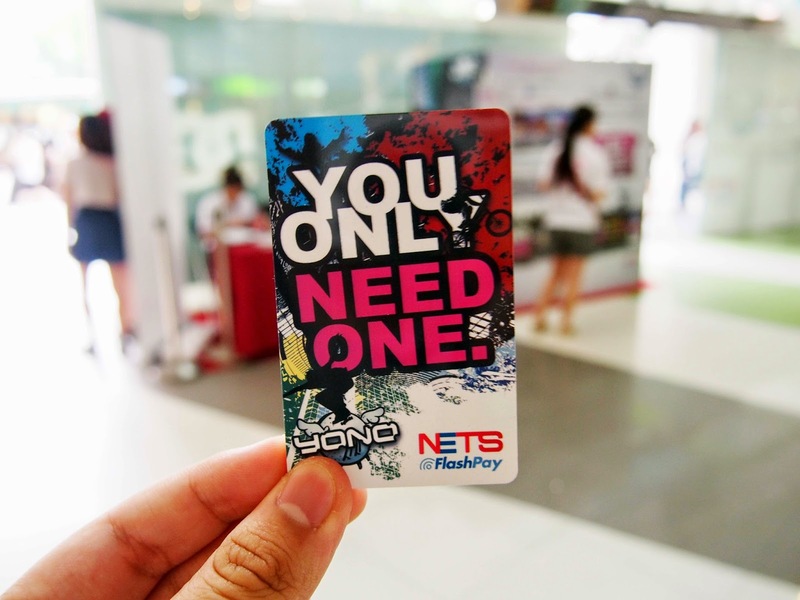 Well, it's none other than the new YONO FlashPay introduced by NETS. 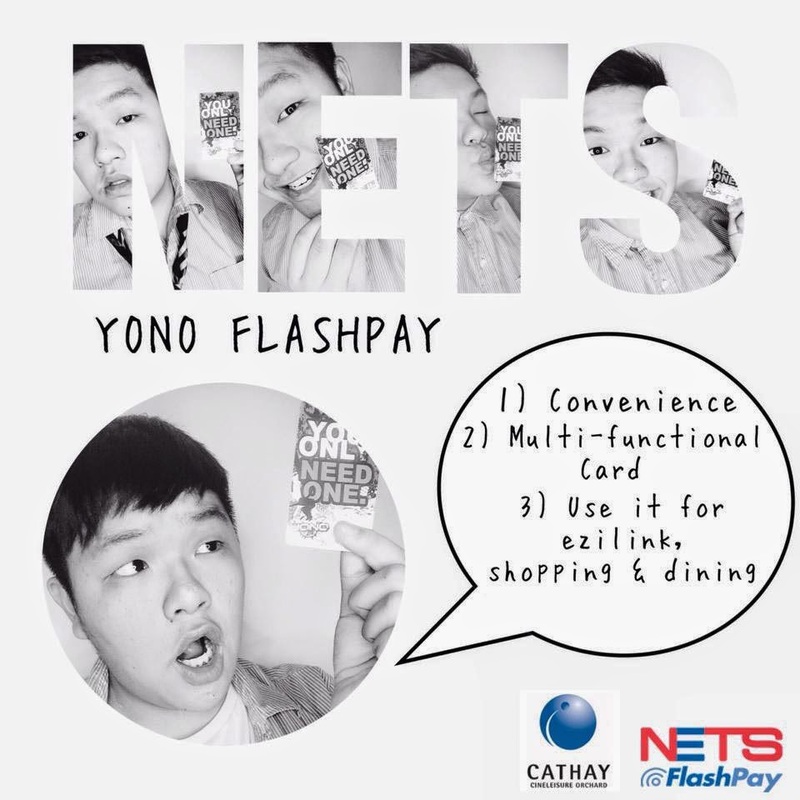 I first mentioned about the YONO FlashPay in my Challenge 3 Blogpost where NETS was so generous to sponsor the #CNOS3 Bloggers $300 for each team to buy the supplies we need using the YONO FlashPay. The purpose of it was to test its abilities to see how convenient it is to use the card. Q: What are the benefits of using this card? 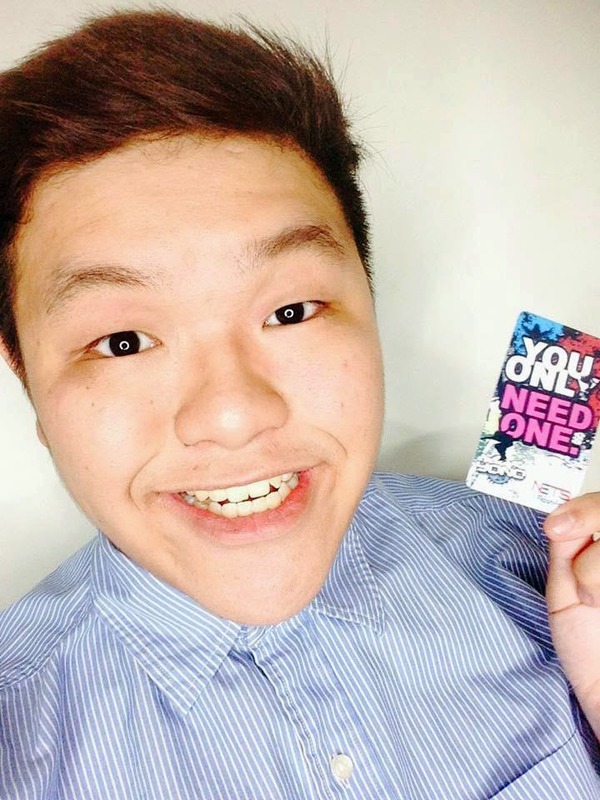 Did you know that you can use this card for public transport such as taking the cab or use it as an MRT Card? You can also top up this card at any of the top-up machines at any train stations! Probably everyone's favourite "hobby" which is SHOPPING! 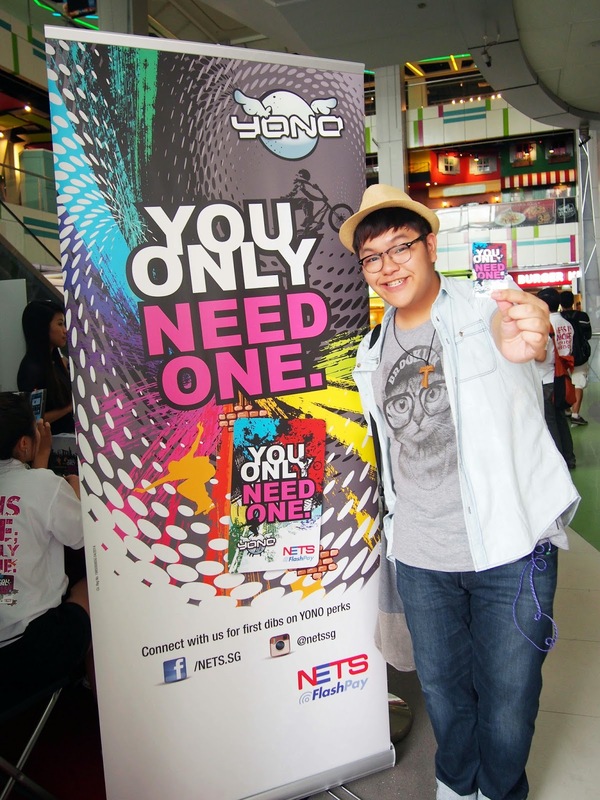 The card can be used at many retail outlets such as Cathay Cineplexes, 7-Eleven etc. at Cathay Cinleisure Orchard and many more shopping malls! As long as the shop has the NETS FlashPay machine, you shouldn't have a problem! - Plus point would be that the more you use your YONO card, the more chances you’ll get to win a holiday in Seoul/Taipei/Hong Kong! The card also allows you to use it for dining. I was at Eighteen Chefs with my friend the other time but she had forgotten to bring her cash, luckily for her she brought here YONO Flashpay card along and used it instead. And woah, I was surprised by how fast the payment was. It was like within a minute! It's very handy and useful as you do not have to worry if you do not have any cash with you but you can just flash it during payment. You won't have to feel any hassle of wasting time to find your money in your bag or have to borrow from your friends anymore! For people like me, if I withdraw cash from the ATM, I would probably just spend it all on food. Therefore, I would prefer to use a flash pay card to solve all my problems! An event was held last Saturday by NETS at Cathay Cineleisure Orchard and they were giving out complementary NETS YONO FlashPay cards for everyone that signed up for the card! If you had missed the roadshow, you can also drop by *SCAPE's customer service centre to get your very own YONO FlashPay Card. However, terms and conditions are subjected to availability. Do follow them on Facebook and Instagram for more deals and updates! https://www.facebook.com/ NETS.SG !! Also follow @NETSSG on INSTAGRAM and stand a chance to win $40 SISTIC Vouchers! Just in case if you do not know, there are still more exciting benefits about when you use this card! You will be entitled to the privileges listed in the brochure below! Do note that it is only for a limited period of time! So don't say I never share arh! Get your card now!! !